I’ll be at the Queen City Kamikaze Convention in Manchester, New Hampshire, Saturday, February 18, with the New England Horror Writers. 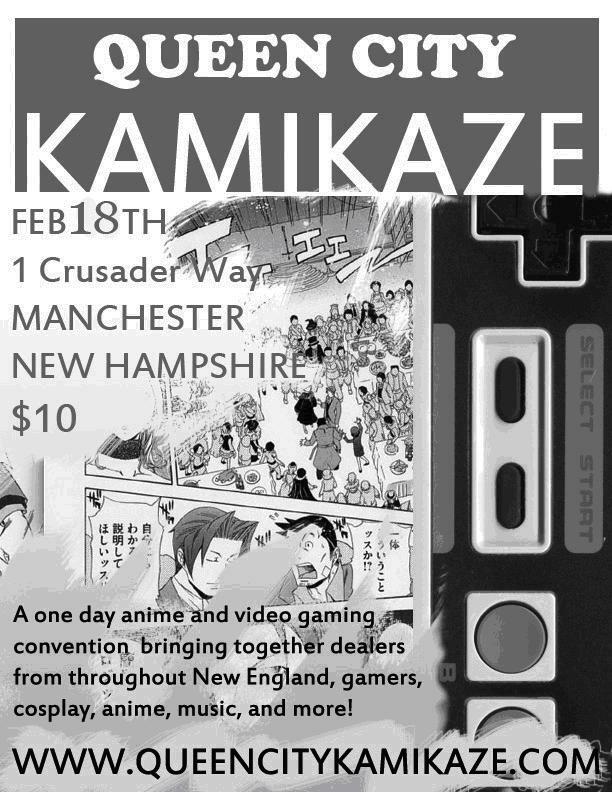 Queen City Kamikaze is a one-day mash-up for fans of comics, anime, video games, music, and more; they are expanding each year. The day includes table-top gaming, live music, video games and video game tournaments, and more (including, of course, vendors). Admission is $10 for the day. Posted on February 7, 2012, in News, Skeletons in the Swimmin' Hole -- Tales from Haunted Disney World and tagged anime conventions, conventions New Hampshire, Kamikaze Con, New England Horror Writers. Bookmark the permalink. Leave a comment.